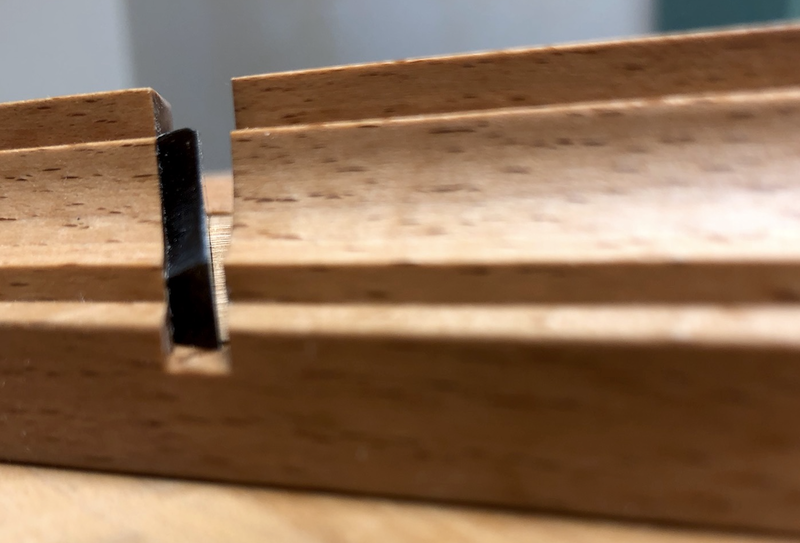 Moulding planes are fun to use. Limiting the amount of time spent with each plane, however, is desirable. 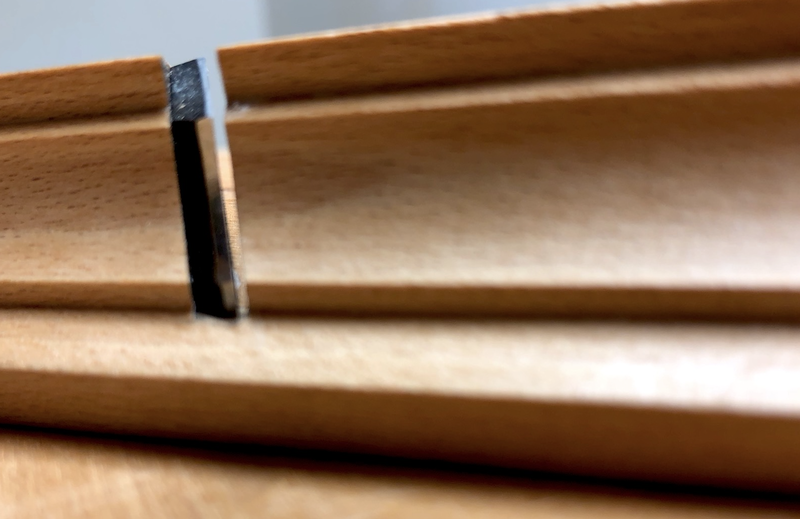 This intentional reduction lessens the amount of time spent sharpening. Starting a dedicated plane on a square corner will drastically increase the number of necessary passes to completion. 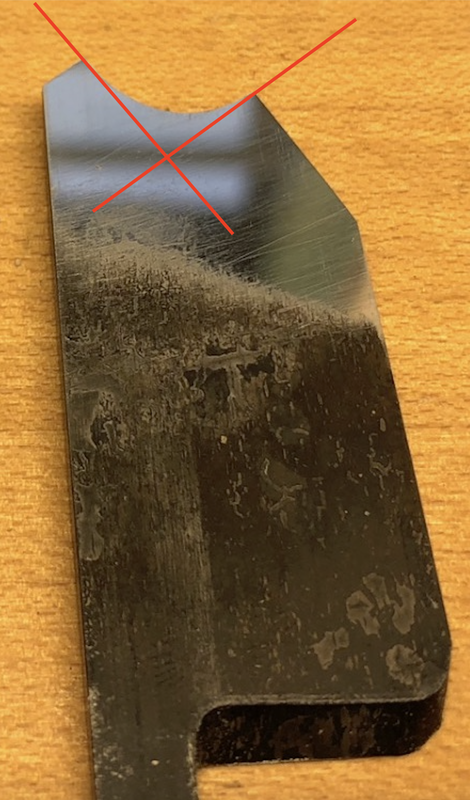 Increased passes results in increased wear and increased sharpening. 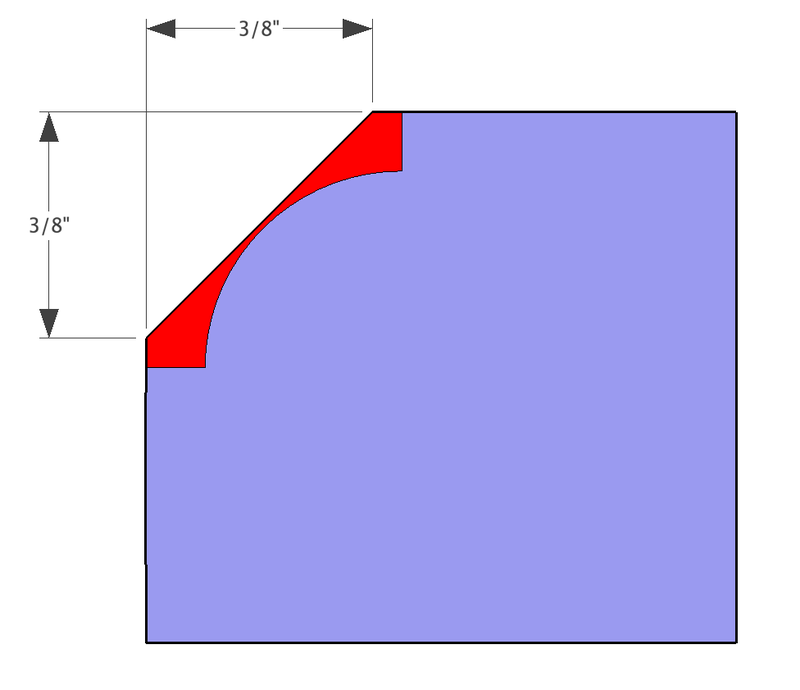 The edges of the iron that cuts the lower portion of the profile will take dozens of passes prior to the portion that cuts the top takes one. Know that the entire cutting edge shall be addressed even when only one portion of the iron needs to be. This will keep your plane’s iron matching throughout the width of your plane’s sole. To reduce the amount of time spent with this plane simply add a chamfer. The chamfer will remove a significant amount of the waste material. Know that a chamfer that is too narrow is far better than one that is too wide. 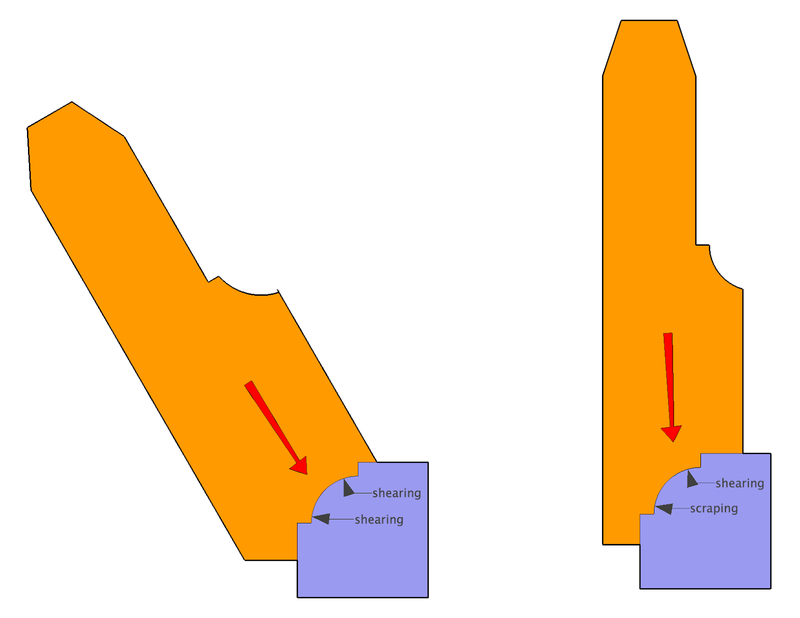 I encounter a lot of woodworkers that recommend starting a profiled plane at the end and slowly working backwards with abbreviates passes towards the beginning. I have never used this method but I can certainly see the value: Holding a plane at a consistent angle over the course of several feet is an acquired skill. Working from the end to the beginning allows the longer passes to fall into the predefined path of the previous, shorter passes. This process encourages a more uniform profile. This 7/16” Roman Ovolo plane I introduced last week is easy to use, straight-forward to sharpen, and creates a profile that is simple to include in your work. When familiarizing yourself with this plane and its use, one must first address a few aspects of its design that can greatly affect the way the plane shall perform. This dedicated ovolo is sprung and shall be used only at the angle for which it is designed. 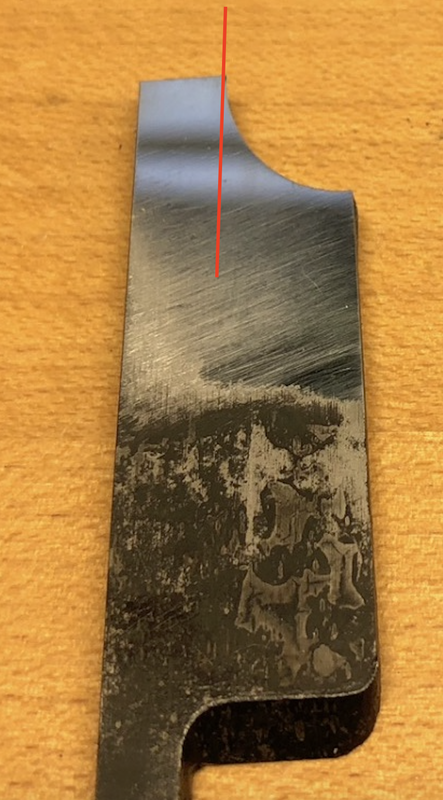 The angle that this plane is to be held is defined by the ‘Spring Lines’ on either end of the plane, 30 degrees from vertical in this case. 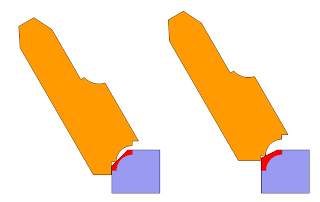 Aggressive, easily seen spring lines make the plane easier to use. 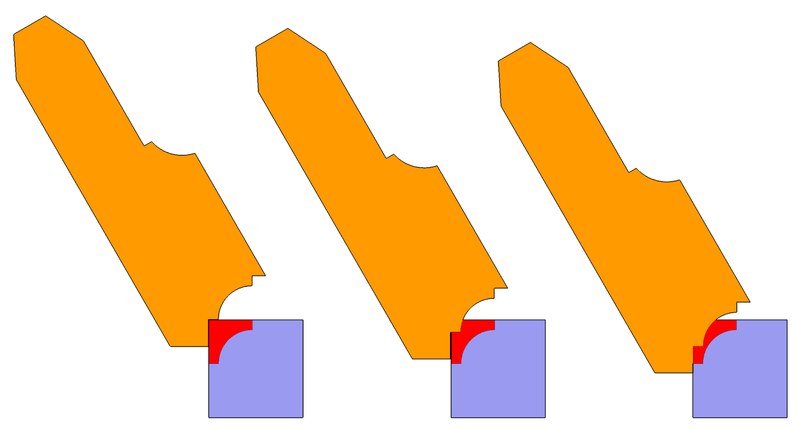 A dedicated plane that is not sprung is designed to be held vertical. Both of these planes produce the same profile, the one on the left in both images is sprung. Why is this plane sprung? There are a few purposes to having a plane that is sprung. 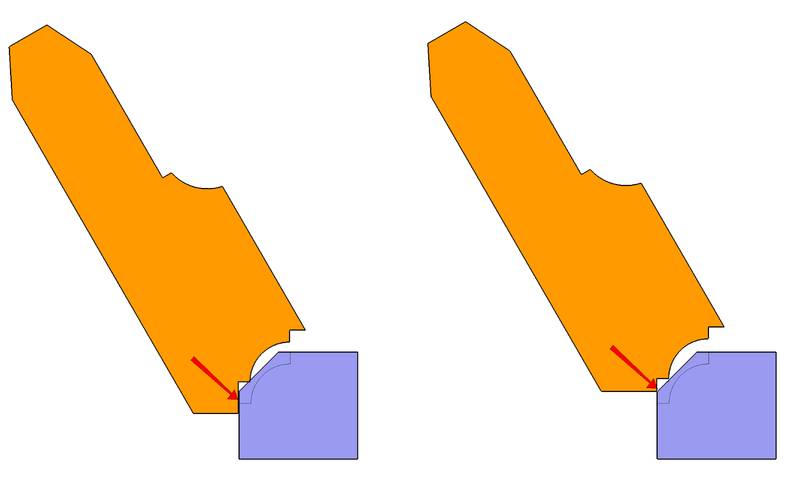 The first is that the plane's sole and profile does not go as far up into the plane’s escapement. This allows for a mouth that is both tighter and more uniform across its width. The sprung plane is on the left again. 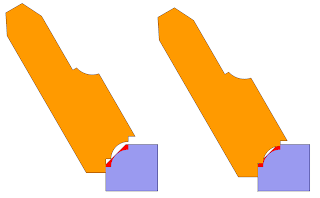 Additionally, there are benefits to the iron’s cutting geometry when a plane is sprung. In this case, the cutting edge of the sprung plane is never far from perpendicular to your force. This results in more of a shearing cut. The scraping action of the unsprung plane greatly reduces the longevity of a sharpened edge. Adding a spring to a plane is an example of technology that is in the tool and often overlooked. The height of the fence is another. 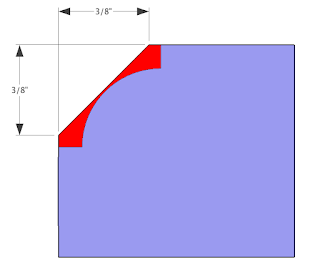 A tall fence allows a wide chamfer. 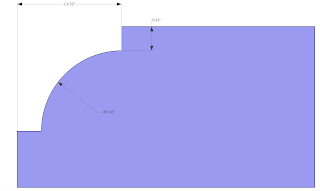 A small fence demands a smaller chamfer. 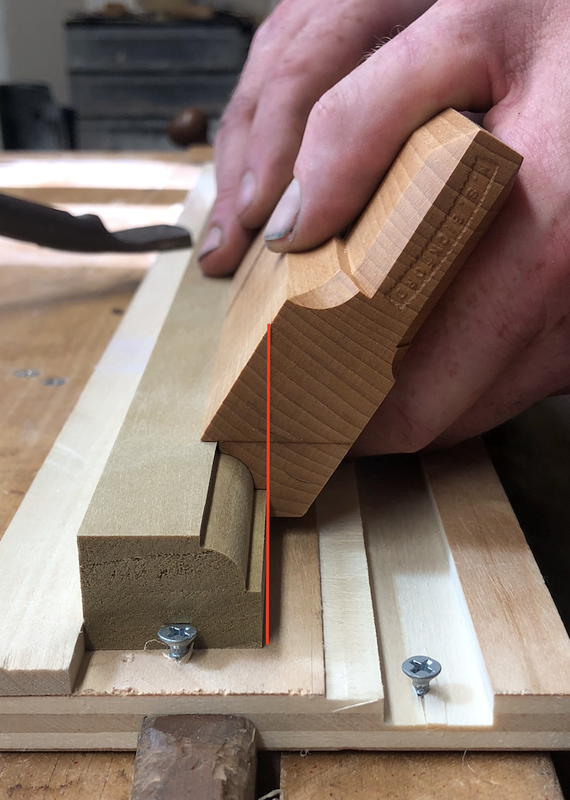 A small chamfer means more passes for your profiled plane; which means more use, additional maintenance, and increased sharpening of an edge that is seemingly difficult to address. Note the difference in material that must be removed. When considering the purchase of a plane, new or antique, all of these considerations shall be taken into account. SOLD OUT (More available in early September, email to put your name on the list): I still have a few of these 7/16" Ovolo sets available. They are $295 plus shipping.These planes will arrive sharpened to the extent that I use them and come with an appropriately sized hard Arkansas slip stone for future maintenance. 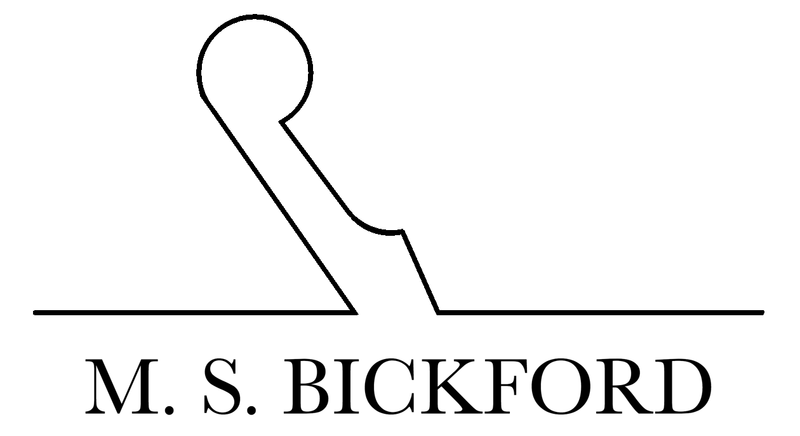 Email matt@msbickford.com with questions or requests. Hollows and rounds are a perfect fit into my woodwork and they may be a perfect fit into yours. Committing to a set of hollows and rounds, whether antique or new, is costly. The same commitment is intimidating if you've never sharpened a profiled edge before. 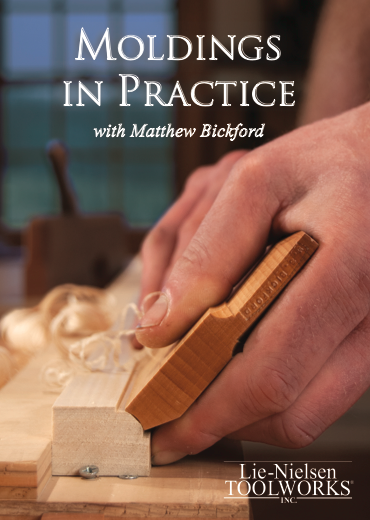 Sharpening profiled irons precludes many from introducing wooden profiled planes to their shop and in their work. I have made numerous dedicated planes in the past. They were all custom profiles sent by various clients. I am, for the first time, adding a single dedicated moulding plane to my standard offering: A 7/16" square ovolo with 1/8" fillets that comes with the appropriately sized slip stone to sharpen the cutting edge. This dedicated plane will be the subject of a few blog posts in the coming days. I will go over how to set up this plane, how to use this plane, and how to maintain (sharpen) this plane with the included hard Arkansas slip coupled with whatever bench stones you currently have: oil, water, whatever. 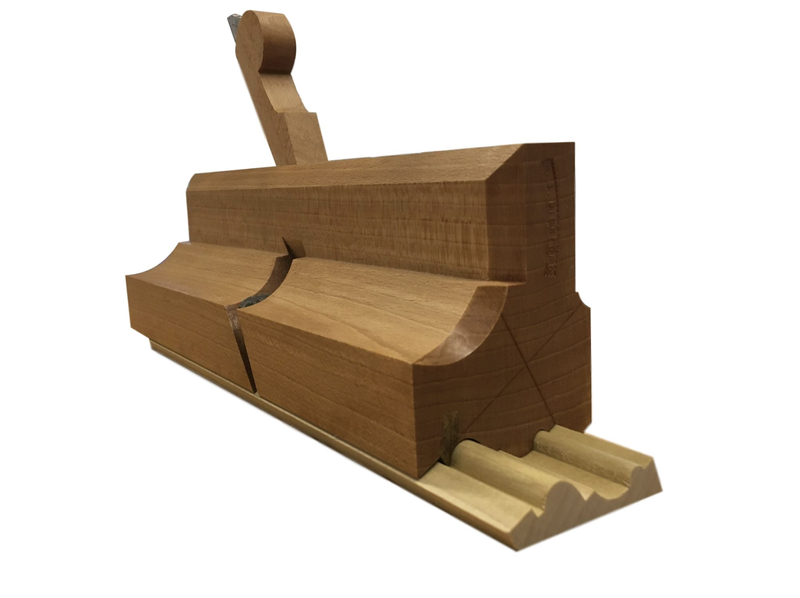 The purpose of this new standard offering is to introduce you, the user, to all aspects of profiled wooden planes. This square Ovolo is easy to use, straight-forward to maintain, and has a profile that may be included in many projects. This plane will, of course, come sharpened and ready to use. The plane and hard Arkansas slip stone will be $295 plus shipping. The plane will come sharpened and ready to use. SOLD OUT: Many are available for current delivery. If they sell out then I will make more for delivery in early September. I intend to have this as an item that is nearly always available.